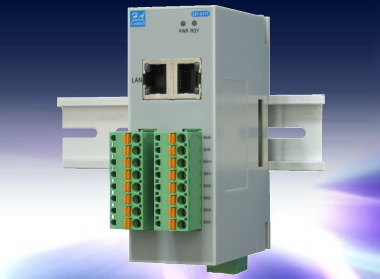 Leader-5100 is a series of dual Ethernet block I/O modules for distributive monitoring and controls. 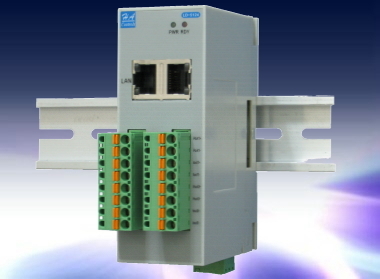 The block I/O modules are fully compatibility Leader-5000 series functionality except 2-ports embedded switch. It feature built-in RSIC-based processor with MAC, and capable of performing analog I/O, digital I/O, and temperature measurement in an Ethernet network with Modus/TCP protocol at LAN, intranet or Internet. An embedded switch built in the Leader-5100 series passes Ethernet traffic between the two ports permitting the user to daisy chain without external switches or hubs. Modules in the chain are cabled together in series using standard Ethernet cable eliminates the need for additional Ethernet switches and reduces the cost of cabling. It also relieves the distance constraints that the nodule must be located within 100m of the switch port in network infrastructure. While daisy-chain networks can be used in a straight line bus topology, having a redundant ring daisy-chain connection offers fast recovery in the event of a cable break. Simply adding a single switch with redundant capability connects the daisy- chain to the overall network and affords robust redundancy without additional cost. 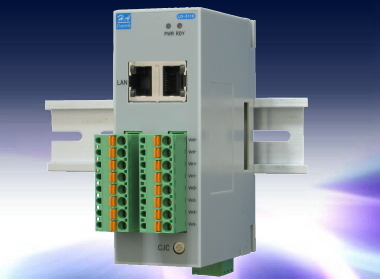 Up to 32 modules in a daisy-chain can be deployed in an industrial setting. Each packet in a chain through use of store and forward technology is checked for accuracy before being forwarded on the network. The cost of that accuracy is less than 10us latency for the average automation protocol message e.g., Modbus/TCP, passing through each module. This means that the total time it takes for a message to travel from the first module in a chain of 32 to the last module would be less than 320us absolute worst case. 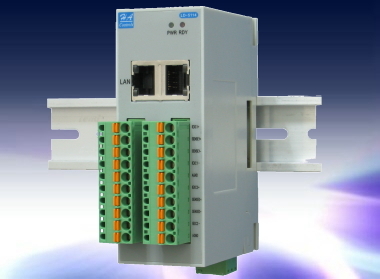 A Leader-5100 I/O module can simultaneously serve communication from different Ethernet socket ports. For example, HTTP, HAL Windows-based utility and Modbus/TCP Server. 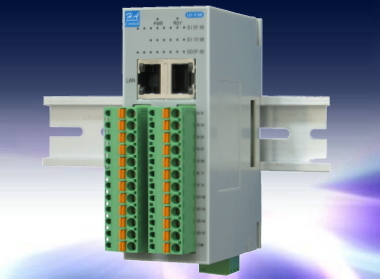 OPC server and various C++/C Modbus/TCP communication driver are provided for user to choose the easiest way to have the Leader-5100 block modular I/Os to go with his self developed software or HMI/SCADA package.